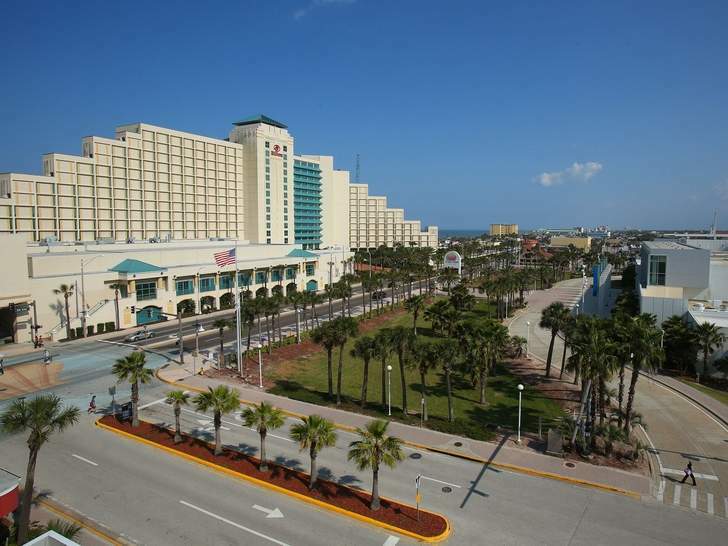 Published: Saturday, May 10, 2014 at 10:49 p.m.
Last Modified: Saturday, May 10, 2014 at 10:58 p.m.
For all the optimism over new hotels, renovations and national convention business, Daytona Beach’s tourism tide still largely rises and falls with the fortunes of its largest hotel, the Hilton Daytona Beach Oceanfront Resort. The Hilton’s most-recent appraised value is way down from a 2007 appraisal that pegged the hotel’s worth at $150 million, though observers doubt that appraisal’s validity. The hotel’s appraised value has little effect on the day-to-day lives of Daytona Beach residents, observers say. The hotel will stay open, and tourists will continue to stay there. But it does send a signal to hotel developers, said Bob Sonnenblick, chairman of Los Angeles-based real estate development firm Sonnenblick Development. If you see an established hotel like the Hilton is only worth ($68,000) per room and it will cost you $200,000 per room to build a new hotel, you will look at that and think, ‘It makes no sense to build any new hotels in this market,’” he said. Buying shuttered or under-performing hotels and renovating them would be more attractive to developers than building new because the costs are much lower, Sonnenblick added. Still, the appraisal hasn’t turned off one developer who’s looking to build a brand-new hotel on the beachside.